Right. Let's be upfront about this: I love Cape Town. It is by far my favourite city in South Africa (which is why I decided to live there) and it would probably be easier for me to tell you 5 things not to do on your trip to the Mother City. What do I love about it? I love how you can almost always see either a mountain or the sea. I love the parks and promenades. I love the quaint and quirky once-off restaurants. I love the relaxed atmosphere and the active culture that sees Capetonians moving from cafe to cycle track and back again. I love how there is always something to do or see, and the entrepreneurial and progressive residents who keep the city moving forward. Now that you are aware that I am hopelessly biased, let's begin! A stunning mix of artistry, natural beauty and urban haunts. The city is in close proximity to the sea, forests, mountains and winelands, with a population that runs, hikes, cycles, swims and otherwise embraces every inch of it. It is also home to an abundance of creative spaces, historical attractions and all the designers and craft food and drink eateries you can Instagram, tucked away in skinny side roads that disappear up the mountainside or evolve into quiet one-way streets. Of course, it is a developing and diverse city, and the contrast between the wealth and picturesque views of some of the artisan hotspots and the outlying areas can be a shock. But Cape Town's highlights are so enticing it's worth exploring further. It's my first time here! What should I do? I'd recommend a blend of activities - try and see as much as you can of the city's natural beauty (don't worry, you don't necessarily have to climb a mountain) while also sampling the offerings of local creatives and entrepreneurs and immersing yourself in its historical legacy. Cape Town has a strong coffee culture, so you will hear about more options than you could possibly visit or ingest without suffering a caffeine overdose. The most well-known is steampunk haven Truth, and Deluxe, Rosetta and Tribe (their hot chocolate is also heavenly) are close competitors with a mix of their own cafes and a vast network of stockists. If you're looking for a spot to rest or people-watch while you're faceplanting into some beautifully prepared meals, there are a range of options for brunch. My favourites include cosy street-side hangout Clarke's, the sunshiny Superette (the secret ingredient to their omelettes is magic), Jason's Bakery (get there early), Four and Twenty (also a great space for tea and cake) and a dainty indoor-outdoor garden eatery called Starlings. Many of these also offer dairy-free coffee options for vegans or those who prefer soya or almond milk for health reasons. 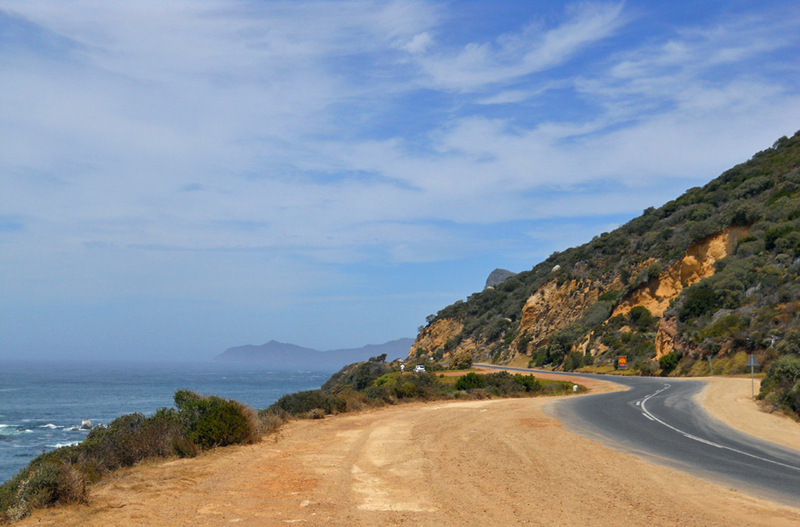 The roads that wind around Cape Town's coast are an attraction in themselves. On one side, you have the glittering Atlantic ocean. On the other, you can gaze at Table Mountain, Lion's Head, the Twelve Apostles or Chapman's Peak, depending on how far you venture. Chapman's Peak Drive's view is so stunning it's often used in car commercials, and the seaside drive from Mouille Point around to Hout Bay is one of my favourite routes to take when I want to show off Cape Town to a visitor. If you're up for more of a trek, then heading to the winelands around Stellenbosch, Paarl and Franschhoek is never a bad idea. The West Coast is also popular, especially in late winter and early spring when fields with endless stretches of flowers are blooming. If you don't have access to a car and don't want to hand your life savings to Uber, you still have options. Cape Town's MyCiti buses drive the route from Mouille Point to Hout Bay and the ever-circling City Sightseeing buses do that stretch too, as well as a mini tour through Constantia's wine farms. 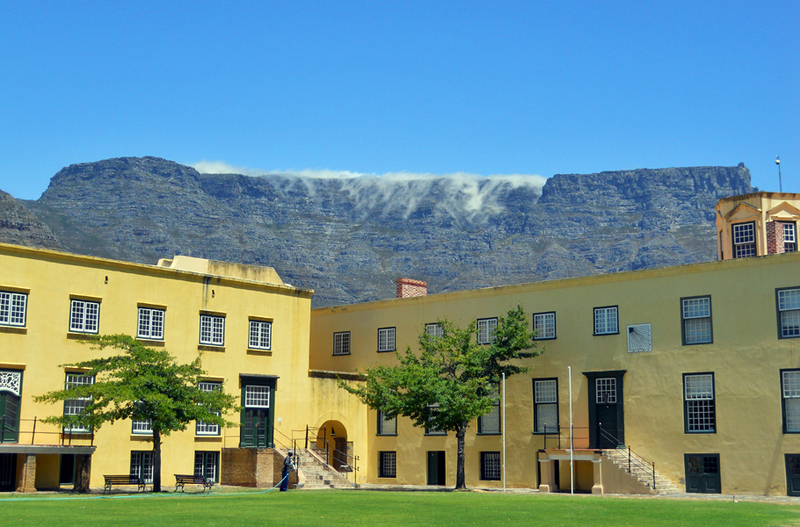 The Cape was the landing point for early settlers and is home to some of South Africa's strongest 17th century Dutch architectural ties, as well as a more contemporary history thanks to a World Heritage Site just a few kilometers off the coast. While taking a trip to Robben Island to visit Nelson Mandela's former jail cell is high on most tourists' to do lists, I also really enjoyed imagining what life must have been like for the original residents of the Castle of Good Hope. Spoiler: it's not an actual castle, but more like a fort, and it has become more crumbly in recent years. The colourful and tiny District Six Museum is an interesting step into the past, documenting the forced removals during Apartheid and the vibrant community who used to live there. If you ascend Signal Hill just before midday, you can also catch the traditional firing of the noon day gun (cannon) while observing one of the best views of the city. Locals, look away now! Yes, Sea Point's seaside promenade is a common choice, but there is a reason it's always mobbed on summery days with teenagers trying to be seen and runners trying to dodge them -- it's beautiful. It is also home to a growing public art collection, benches shaped like poodles (yep), and some of the best sunset views. If you need a quiet space to rest in between activities, Greenpoint Park and the Company's Gardens are lovely inner-city escapes. 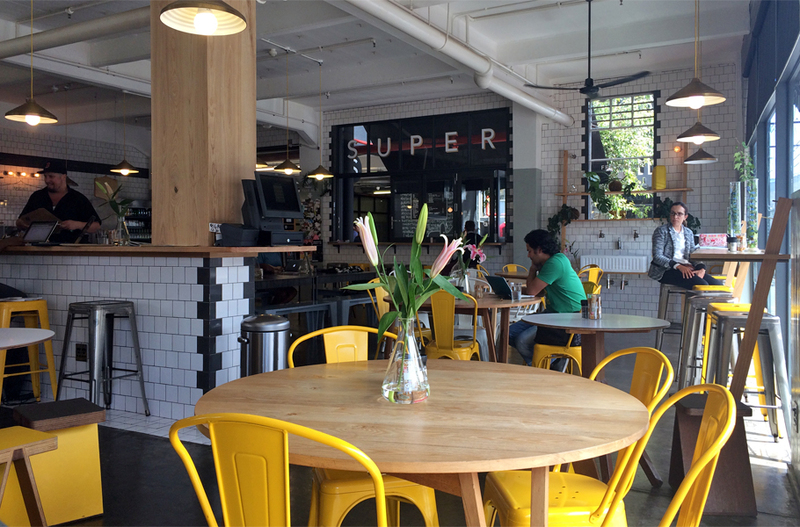 If you're more into creative spaces and once-off shops than greenery and sunsets, Kloof Street is a progressively elevating path of restaurants, trendy retailers and artistic everything. The lower portion of the road flows into Long Street, which is a bit busier (and not the best place to be drifting around at night) but also offers a mix of antique shops and one of the best burger places in existence (Royale) and one of the more interesting (and delicious) pizza menus over at SGT PEPPER. The Market on the Wharf (so much yum) or the Watershed (packed with local designers and crafts) at the V&A Waterfront are great to explore. They're located at one of Cape Town's biggest tourist hotspots, so it can get very crowded, but it's worth it. You can also use the opportunity to drift around the harbour and browse the attached shopping center. Other popular spots are the Saturday favourite Neighbourgoods Market at the Old Biscuit Mill in Woodstock, and the eclectic (Hout) Bay Habour Market, which you may have to roll out of once you've sampled their amazing food options. Love Cape Town? What would you suggest first time visitors do? Let me know in the comments. Want to read more about what to do, see and eat in Cape Town? Browse the Cape Town archives!